The folks at Earrings Everyday have decided to have a monthly challenge. They're calling it the We're All Ears Hop. Each month they will share some sort of inspiration (a picture, painting, person, song, poem, etc.). 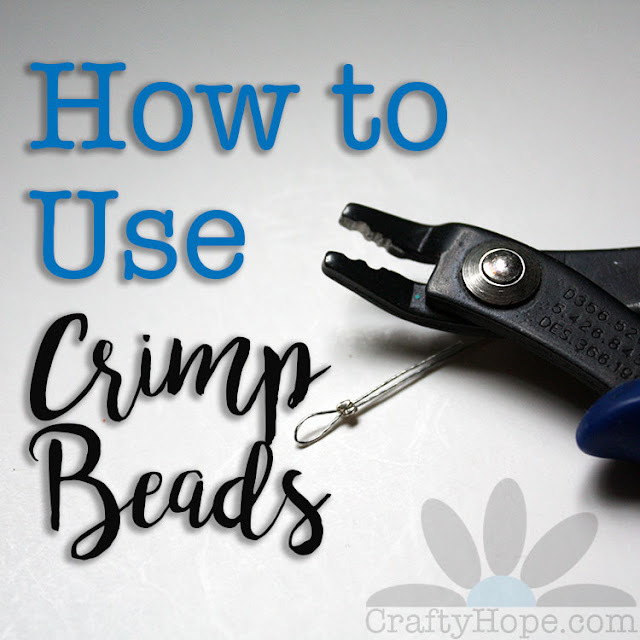 Blog readers are then invited to create a pair of earrings based on the inspiration, blog about the earrings and inspiration, and share that blog link. 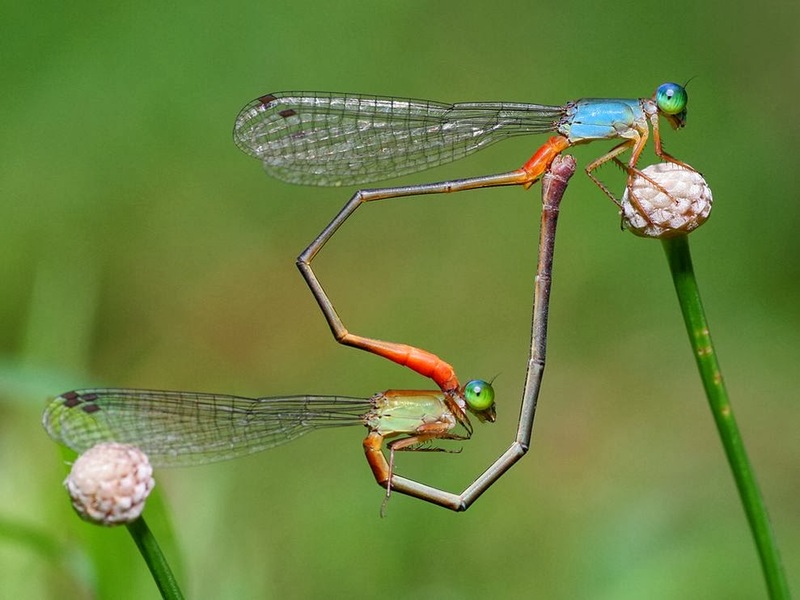 While I did recognize the general heart shape that the damselflies have created in their. . .ummmmm. . .activity, I'm not big on the heart-shape in general. What drew me in to this photo were the colors and general lines. I do love the transparency of their wings and the length of their bodies. 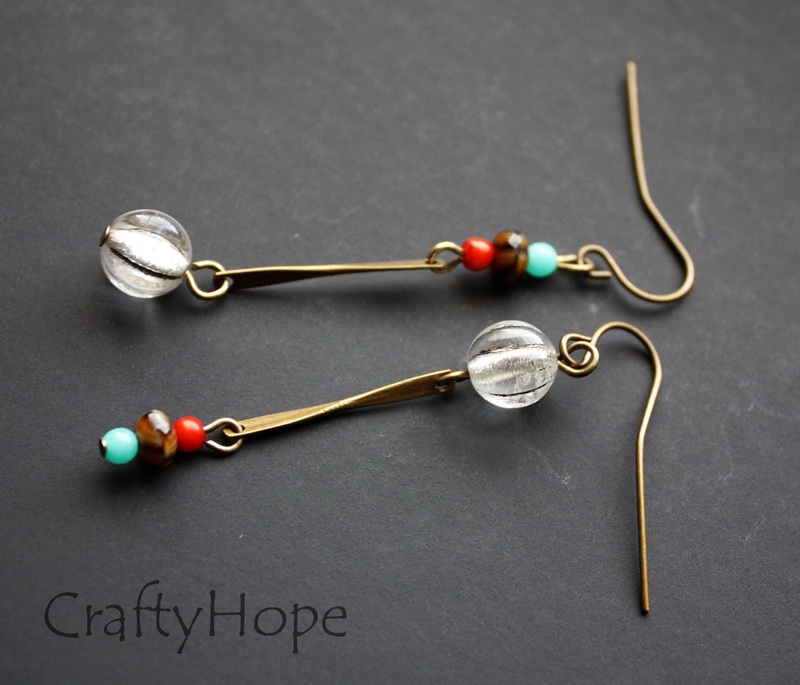 I absorbed all that and created this pair of earrings. I used the clear beads with lines on them to symbolize the wings. As well, the orange and blue I took from their torsos with the dash of brown for their long tails. 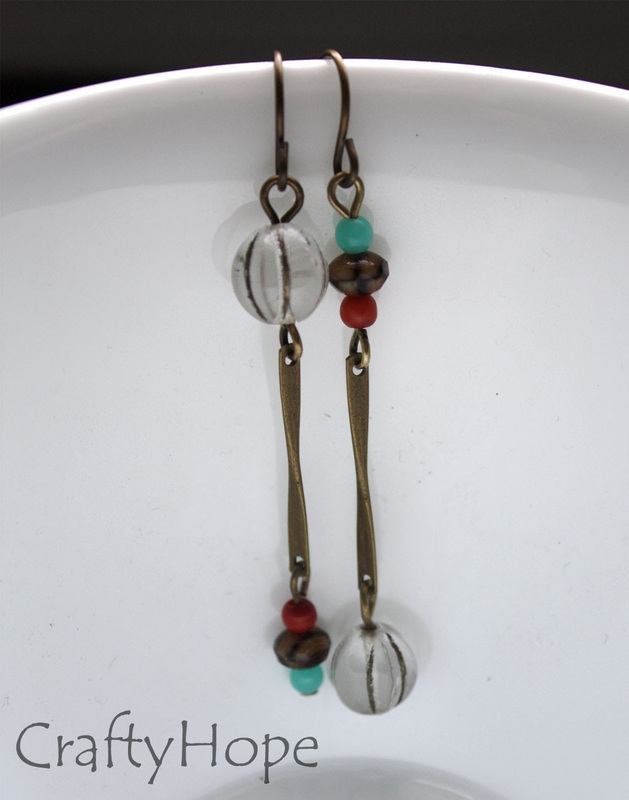 In addition, I used the twisted brass bars to elongate the earrings much as their tails do their bodies. Lastly, the pair is mirrored top to bottom like these two lovers are posed in the picture. I really dig these earrings and am looking forward to more challenges for the crew at Earrings Everyday. I can't wait to see how everyone else interprets the prompt. I think you did a great job. Those bars really recall the body of the damselflies. And I also love the asymmetric pattern (and I am not a big fun of it). Everything about these pulls me in ~ the length and swing, the twist, the mirror image, the colors, the inspiration. These are really cool earrings, Hope! I'm not fond of the heart shape either. I like how your earrings mirrored the these lovers. Beautiful earrings!!!!!! Nice work - I love the simplicity of these - they are simple but definitely not boring. The yin yang of these echo the image's harmony and balance wonderfully. These are wonderful Hope. The shapes and the colors are such a great use of the inspiration! Thank you Kristi, I appreciate that so much! It was a fun challenge and I'm totally looking forward to next month's. Love these! You did a great job capturing the essence of the photo... love the thought behind your asymmetry too! Really nice work. Thank you!! I don't tend to get inspired by images such as this challenge had us doing, but it really worked out this time. I think I'm going to like these little challenges to help stretch my ability to be inspired. As always, I appreciate you stopping by SO MUCH! I am crazy about these. The linearity. The asymmetry. The materials. Splendid. Love the detailed thought you expressed behind the design, Hope! The earrings are a beautiful tribute to this loving pair of damsels. Lynda- Thank you. I really enjoyed this challenge and though it sounds like it, I didn't over-think it. I'm working on doing less of that in my designs. I guess it working! :) Thanks again. Ooohh. I like the way you flip-flopped the earrings, giving them an asymetrical look. Lovely job. Pam- Thanks. The flip-flop was the last decision I made on these and I think it worked out well without being too distracting. I appreciate you stopping in. Beautiful earrings! You really put so much soul in this earrings. The way you look at that inspiration.... very cool! Oh, I love your interpretation of these two cuties! Mirrored - you're clever. and the earrings are fabulous, as always!! Shel- Ha. I wasn't sure how else to describe their position. . . ;) I'm so happy you like them. I like this challenge; quick but still challenging enough for me to stretch myself a little. SO fun. Love these! Especially the long bars..mimicking the bodies and love the asymmetry as well. 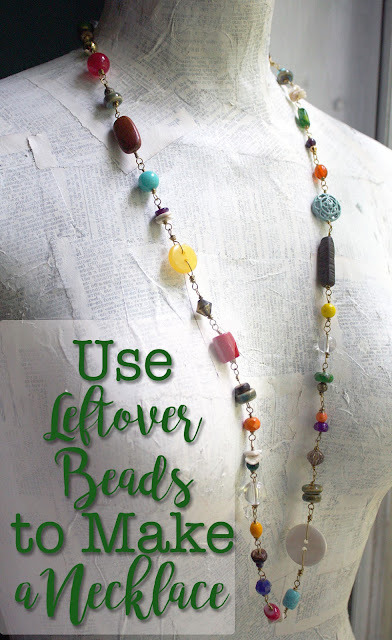 I love the colors and the way you combined the different shapes of beads. Well done! I love these ! these are way cool! I think you are very talented! Love how you went with the mirrored look for these earrings. They look so delicate, as if they could fly. Great job! Out of the others listed, I really think yours are the most creative and the design really fully encompasses the provided picture for me. Great work! Oh wow. . .you flatter me so. I'm not sure about all that, but I do appreciate you saying all those kind words. Thank you for giving me that boost! These are really lovely I love how you mirrored them! Thank you so much Niky! I enjoyed this challenge greatly. Your design is great. The colors, length, and mirroring really invoke the challenge picture. Kala - Thank you! It was totally a lot of fun. I appreciate you swinging by! Love your take on this design. The mirroring is inspired! Great pair of earrings. I also think the length of your earrings represents the dragon flies very well. Very nice! Great interpretation and design. The long metal pieces work great! The asymmetrical design really works! Cindy- Thanks! It was definitely a fun challenge. I can't wait to see what they've got up their sleeve for the next one! I just love those earrings! I am not normally a fan of mismatched earrings but I have might have to change my tune after seeing these.